We are in Detroit, at the North American International Motor Show 2004, the spectacular quad-turbo, V-12 powered, mid-engine Chrysler ME Four-Twelve super car has roared onto the scene to shine as the most advanced Chrysler ever built. "The Chrysler ME Four-Twelve has been one of the most closely guarded secrets, not only to the outside world but also within our organization," said Trevor Creed, Senior Vice President at Chrysler Group Design. "The idea for this machine was conceived as a spectacular follow-up to the Dodge Tomahawk shown last year. The big difference is that Tomahawk was a design statement. 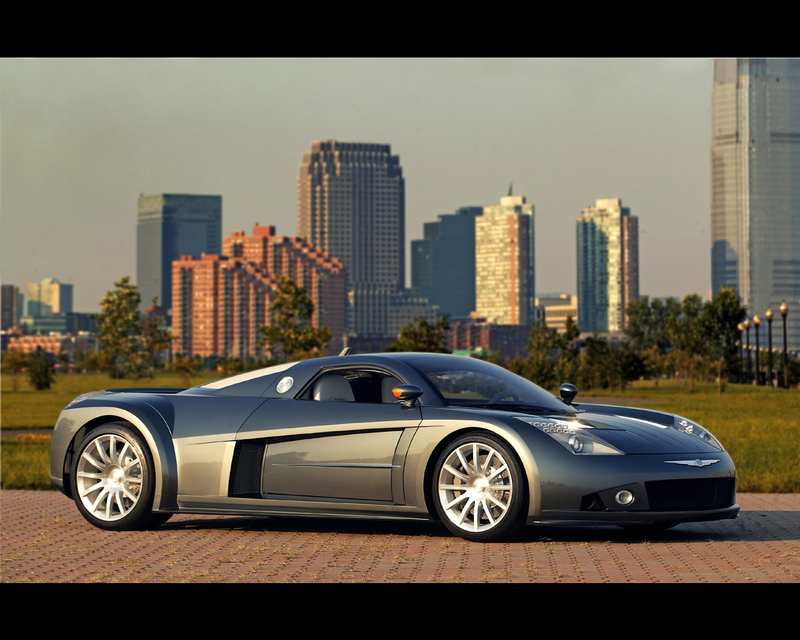 The Chrysler ME Four-Twelve, however, is as much an engineering statement as it is a design statement." "The Chrysler ME Four-Twelve adds a new aura of performance to the Chrysler brand," Creed said, "It is aerodynamically honed, and it balances elegance and power. It exudes strength, performance and prestige. 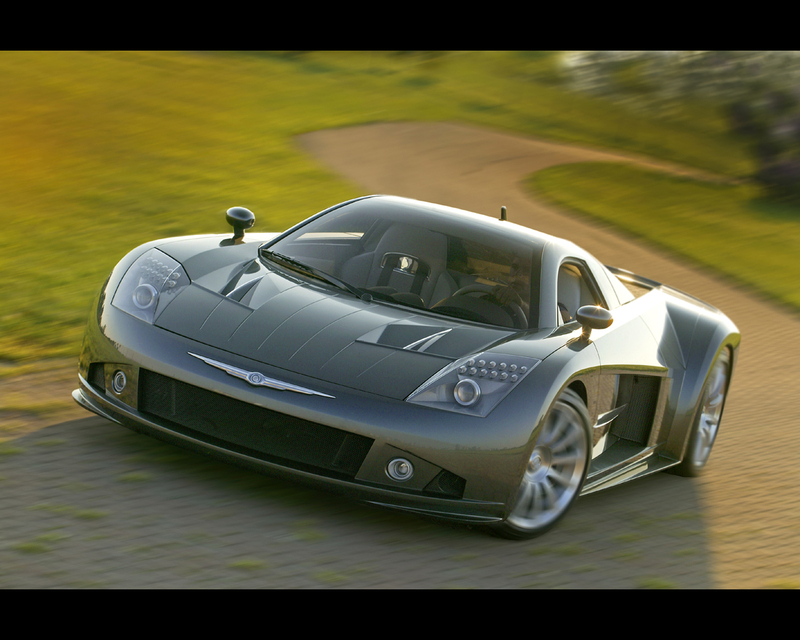 The Chrysler ME Four-Twelve is Chrysler's own creative interpretation of the classic mid-engine super car architecture." 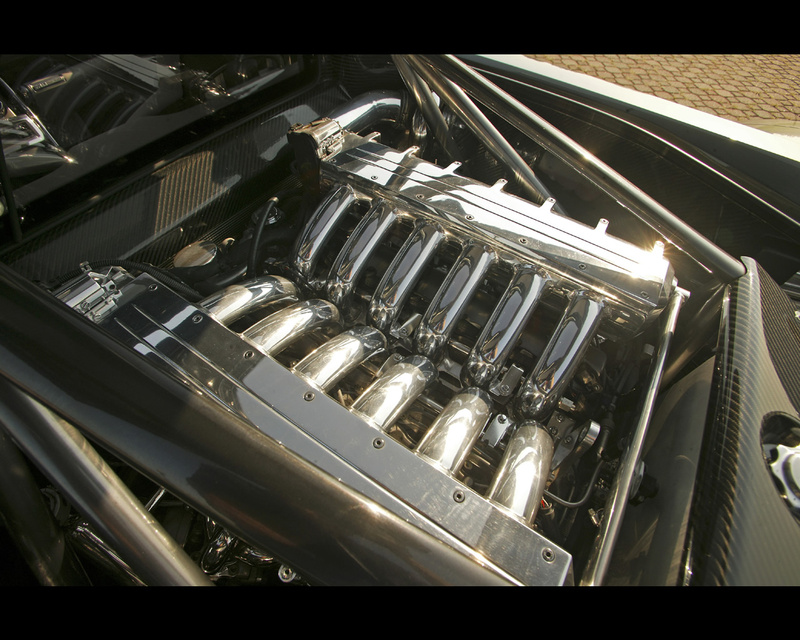 The heart of the Chrysler ME Four-Twelve is its all-aluminum, quad-turbo, 6.0 liter V-12 engine. With electronic sequential multipoint fuel injection and a 9.0:1 compression ratio, the Chrysler ME Four-Twelve's AMG -developed engine delivers 850 hp at 5.750 rpm, with 850 lb-ft. (1150 Nm) of torque between 2.500 and 4.500 rpm on premium unleaded fuel. The specific power output translates to 142 bhp/liter, and with a curb weight of just 2.880 lbs. (1310 kg), the Chrysler ME Four-Twelve has the weight-to-power ratio of 3,4 lbs/bhp - each of these sets new performance records and new benchmarks in the super car category. And, befitting a machine that could play confortably in the super car league, the performance of the Chrysler ME Four-Twelve is stunning. In Chrysler's projections and modelling, the Chrysler ME Four-Twelve goes from 0-60 mph in 2,9 seconds, 0-100 mph in 6,2 seconds and it will blister through the quarter mile in 10,6 seconds at 142,0 mph. 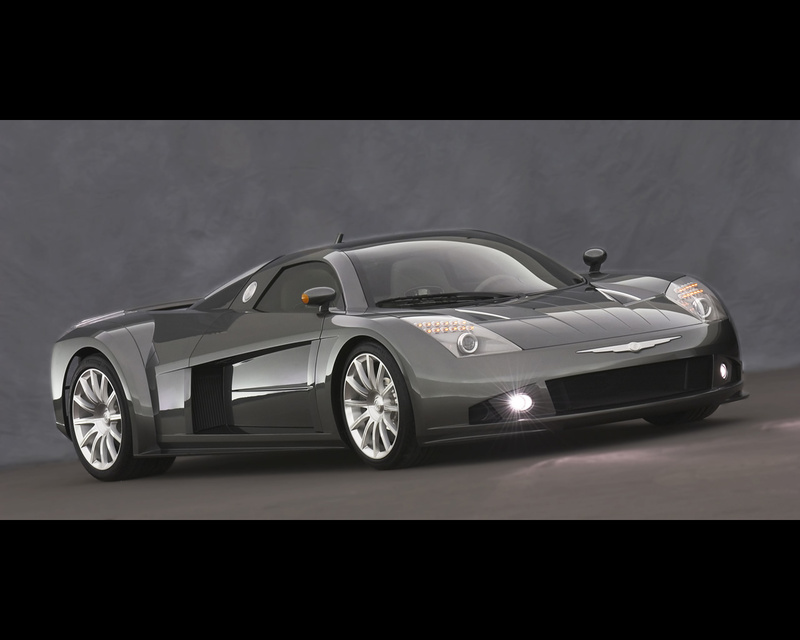 The estimated top speed of the Chrysler ME Four-Twelve is 248 mph ( 400 kph). The 7-speed Ricardo Double Clutch Transmission was developed specifically for this vehicle and features the latest double wet-clutch technology and electronic control strategy. 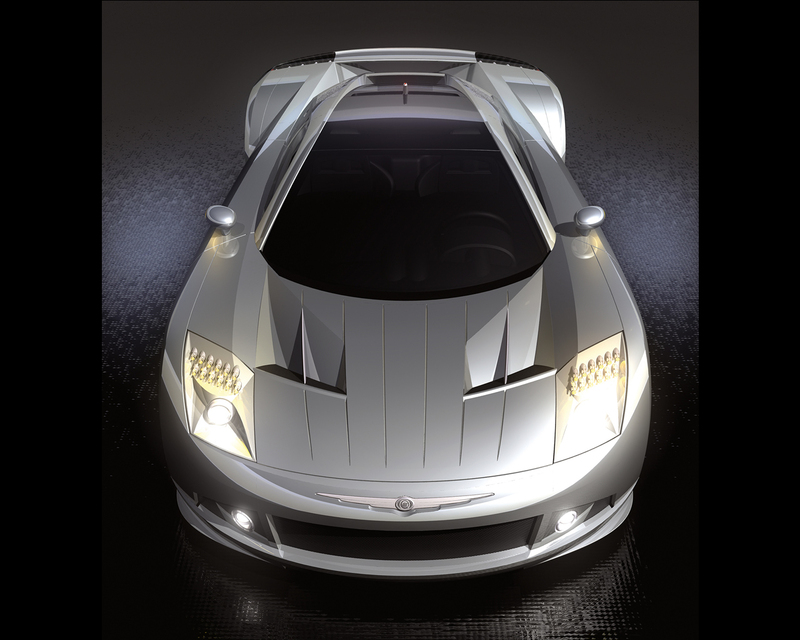 The Chrysler ME Four-Twelve's advanced, carbon fiber bodywork was designed to mate to a carbon fiber and aluminum honeycomb monocoque tub. 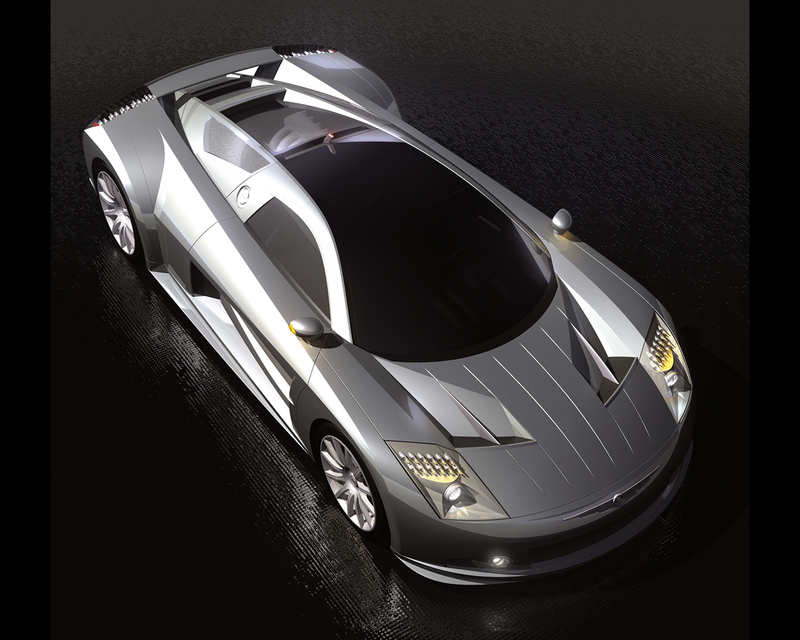 Aluminum crush structures and chrome-moly sub-frames complete the Chrysler ME Four-Twelve's rigid support structure. The vehicle structure, consisting of multiple materials, achieves an ultra lightweight design with outstanding vehicle rigidity and complies with all US federal regulations related to impact testing. At just 44.9 inches (112,25 cm) tall, 78.7 inches (196,75 cm) wide and 178.8 inches ( 447 cm) long, the two seat, mid-engine Chrysler ME Four-Twelve has a striking presence honed from hours of development in the Chrysler Group wind tunnel in Auburn Hills, Michigan. The computer controlled active rear spoiler articulates rearward 100 mm to increase down-force to a total of 925 lbs. (421 kg) at 186 mph (300 kph), while achieving a competitive coefficient of drag (Cd) of 0.358. All body openings have been optimized to achieve maximum thermal performance. In addition, large vented front and rear wheel houses reduce lift as well as active and passive aerodynamic devices that have been implemented to provide performances at all speeds. As examples, we can quote a front fascia splitter for increased frontal down-force, a fully developed underbody with integral rear diffuser to reduce lift and provide additional rear down-force. 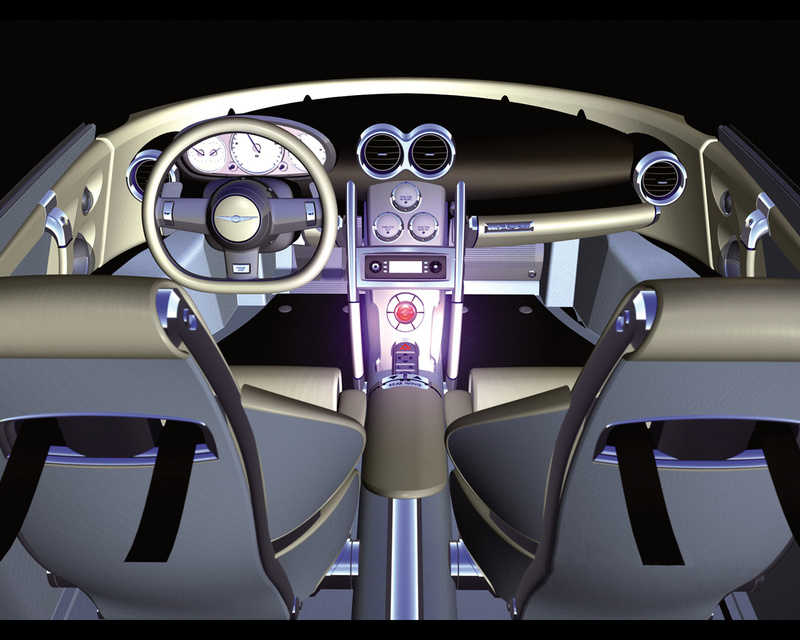 The Chrysler ME Four-Twelve's interior shows the carbon fiber structure of the body tub. 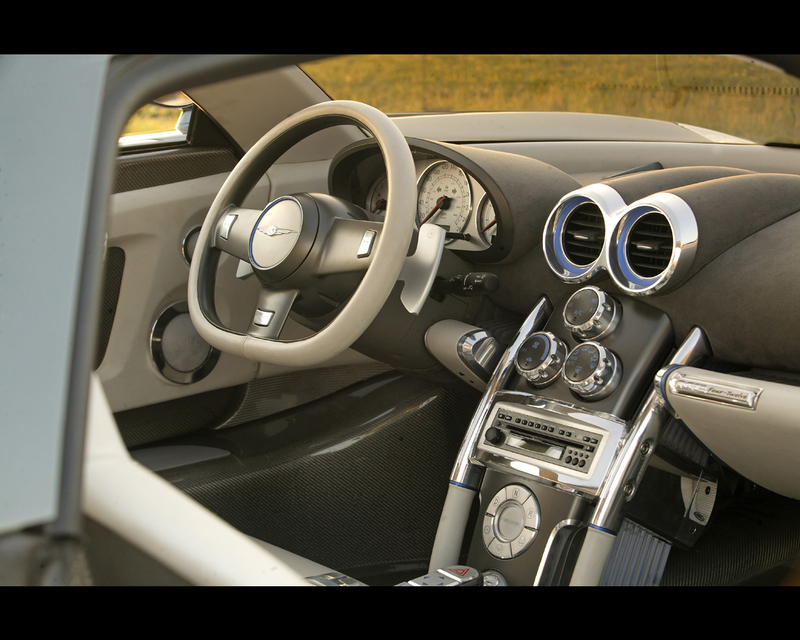 Leather covered sports seats, a tilt steering wheel, automatic climate control and a premium audio system are housed in a vehicle that is just as at home on the highway as it is on a race track. The car integrates a large glass roof that extends from the windshield to the rear header. 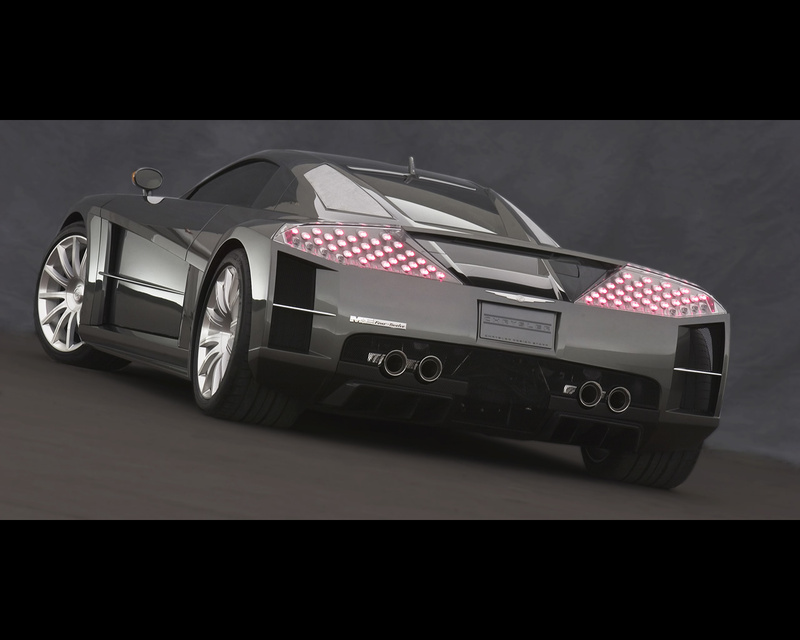 "In terms of advanced materials, aerodynamic efficiency and vehicle dynamic performance, the Chrysler ME Four-Twelve represents the ultimate engineering and design statement from Chrysler," said Wolfgang Bernhard, Chief Operating Officer, Chrysler Group. "It's everything we have learned about creating exciting, desirable automobiles. And, as such, it is not really a concept car but is, in fact, a prototype that will be road- ready."